• Shipping cost for 1–2 is the same! Professionally designed & printed calendar with 13 images taken from recent work in the studio. 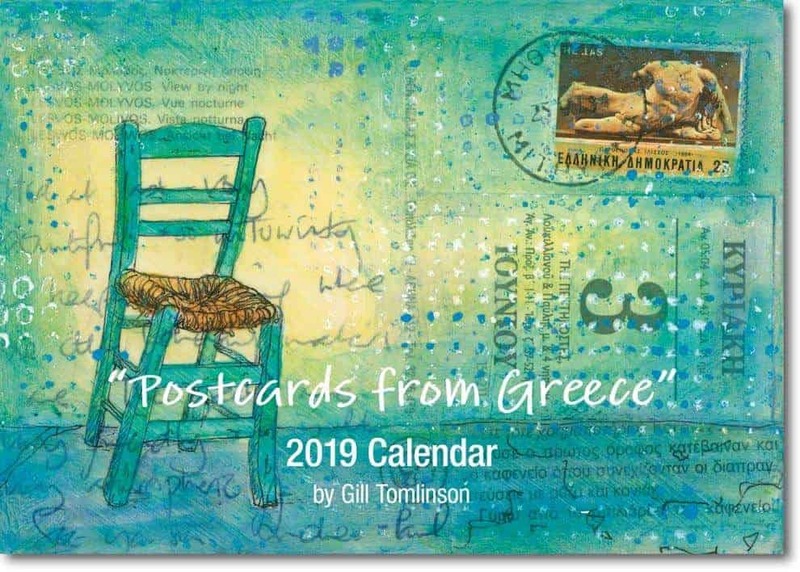 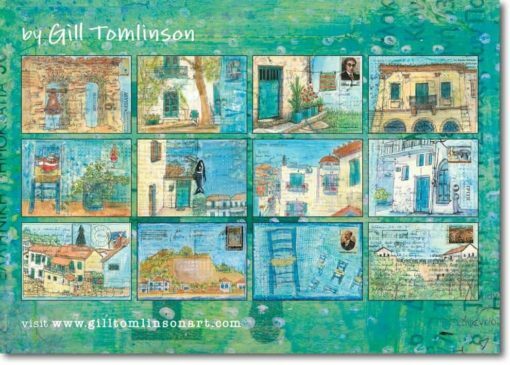 “A Postcard from Greece” is an ongoing series of original mixed-media paintings created on vintage postcards… poignant old postcards, written and sent from Greece between the 1950’s-1990’s, become the ‘canvas’ for the small paintings. 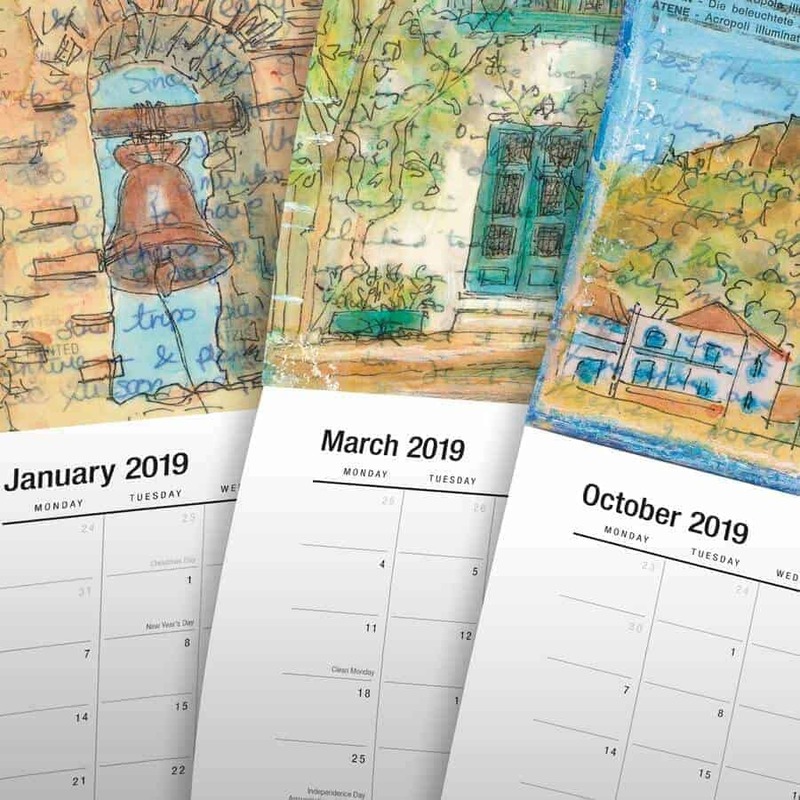 Individually shrink-wrapped by the printer with a cardboard insert, calendars are sent out in a sturdy protective mailer. 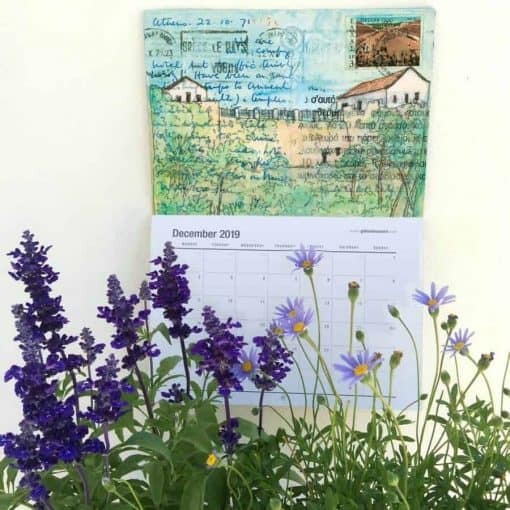 Delivery then normally takes around 1-2 weeks.